AgriMag Polypropylene Mag Flow Meters , No Moving Parts, Battery Powered ! 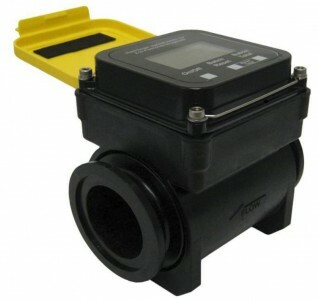 This simple range of plastic Mag meters are ideal for metering water and chemicals which are conductive (water based) They are full bore and so will alow solids and debris to pass through unobstructed, making them virtually maintenance free. Available with a wide selection of fitting adaptors these meters are ideal for portable applications and where the provision of power is an issue.